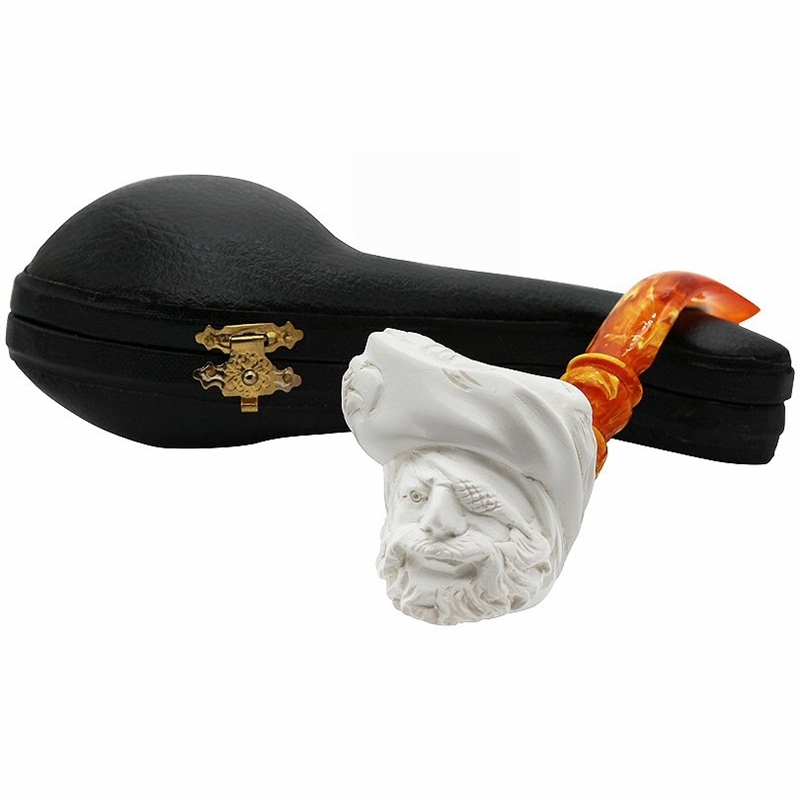 Hand Carved Pirate Eagle Feather Cap Meerschaum Pipe - Grim faced pirate wears an eye patch and a cap with a long feather and eagle head carved on one side. He found his booty in a beautiful bent designer stem! This meerschaum pipe is Hand Carved from 100% Solid Block Meerschaum imported directly from central Turkey. Once carved it is soaked in beeswax so that it will color over time after being smoked. The stem is made of a special Amberoid Acrylic for good looks and long lasting durability. 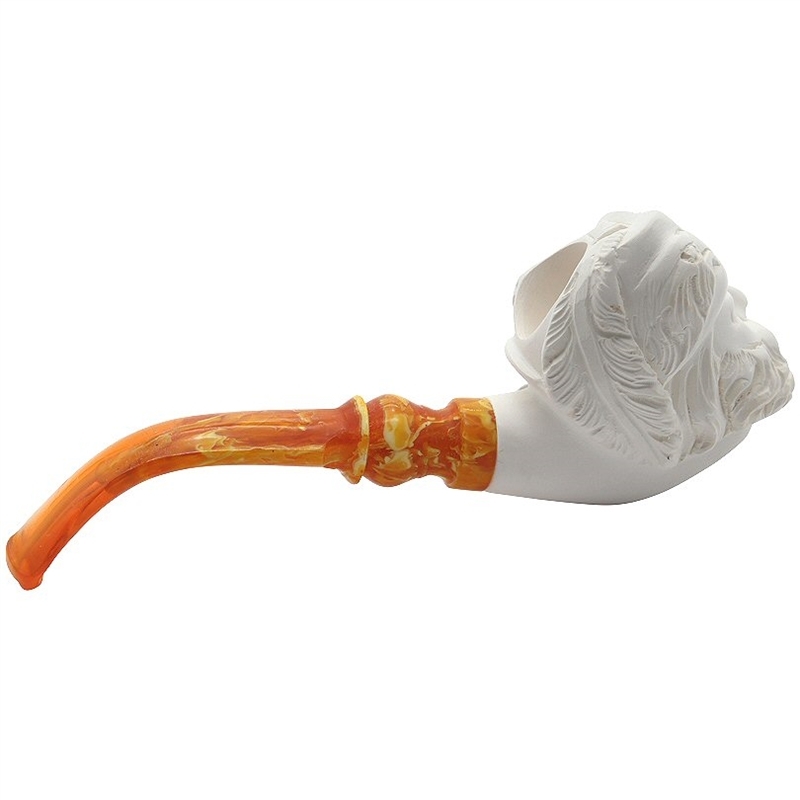 Every meerschaum pipe we sell is hand carved so no two pipes are exactly the same. Each hand carved pipe comes in a custom made black leather and velvet lined brass hinged case which is custom fitted and unique to that individual pipe. Guarantee: All of our pipes come with a 100% customer satisfaction guarantee. Availability: Generally ships within 24-48 hours. 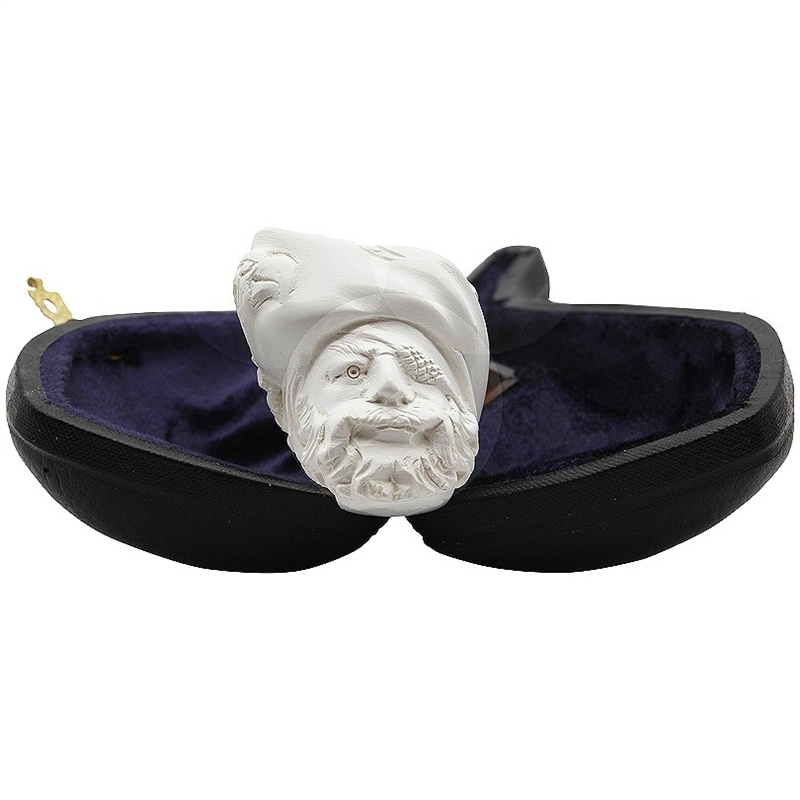 Discounts: Email info@royalmeerschaumpipes.com or call 800-567-6922 for volume discount pricing.